Andre and Sarah’s professionalism, experience, honesty and dedication will make your real estate experience a stress-free and enjoyable one. As a full-time husband and wife real estate team, Andre and Sarah pride themselves on helping families find their dream homes. They are successful realtors because they listen to the needs of their clients and they treat their clients as friends, focusing on creating a lasting relationship that goes beyond the sales transaction. The client focused approach that Andre and Sarah follow has created a proven track record of success as they within the top sales agents at their office, Platinum Award winners for several consecutive years and in 2015 achieved the Masters Award! 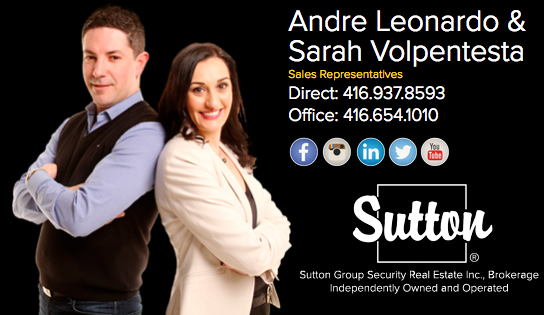 Sarah and Andre look forward to meeting you and helping you with your real estate needs! Call them today to arrange an appointment! Andre holds a degree in graphic design from George Brown and once graduated he started his career at Sanofi Pasteur Pharmaceutical Company as a Maintenance Planner. 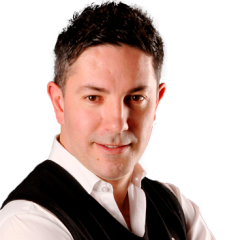 However, his desire to work outside of the corporate realm combined with his passion to work with people lead him to pursue a full-time career in real estate in 2000. Andre is often known for his humor and strong people skills and this had made him successful in the real estate business. Andre’s motto is to treat others as he would like to be treated. He often refers back to his parent’s first experience with a realtor, as new immigrants to the country. Unfortunately it was not a good experience, as the realtor was looking out for a sale and his own pocket instead of the interests of his clients. Andre learned from this experience and often finds himself talking people out of purchasing homes that he does not think are suitable for them. This genuine honesty has distinguished him as a trusting realtor in the industry and most of his business comes from past clients and referrals. Andre’s hobbies include anything that connects him to the outdoors- taking nature walks, skiing and ATV riding. He also has a strong passion for interior decorating and design and often finds himself browsing local antique shops in search for the perfect treasure. 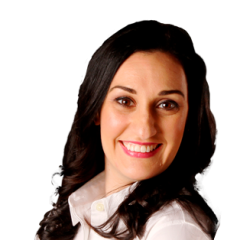 Sarah holds a degree in law and is a licensed member of the Law Society of Upper Canada. After graduating from the law school at the University of Ottawa Sarah went to work at Bank of Montreal, practicing compliance, corporate and securities law. However, her passion for dealing with people coupled with her interest in real estate led her to a full-time career in real estate in 2010. Sarah has a passion for matching people to their ideal homes and she uses her strong negotiation skills and legal background to ensure that her clients are well represented. Sarah’s hobbies include travelling, reading and spending time with her children outdoors at neighborhood parks and attractions. She also enjoys fine dining and is always in search of the best of some of her favorite dishes including penne a la vodka and tiramisu!